This brick structure in the village of Reston, in the Rural Municipality of Pipestone, was erected in 1917 by English immigrant builder Arthur Henry Bushby (1879-1933) on a design by Brandon architect William A. Elliott. 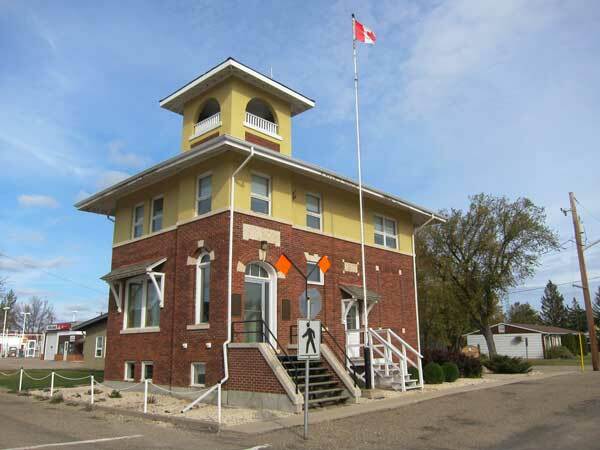 A provincially designated historic site, the building has plaques on each side of its main entrance door commemorating the 1884 and 1984 municipal councils. 1884 council: John McKinnon (Reeve), Thomas Croft (Councillor), George Cook (Councillor), Edward Ball (Councillor), William McDonald (Councillor), John Cameron (Councillor), James Lothian (Councillor), and Arthur Power (Secretary-Treasurer). 1984 council: John R. Guthrie (Reeve), A. E. Shoemaker (Deputy Reeve, Ward 5 Councillor), A. H. Lazenby (Ward 1 Councillor), B. A. Gray (Ward 2 Councillor), G. W. Forsyth (Ward 3 Councillor), A. A. Perreault (Ward 4 Councillor), D. M. Hogg (Ward 6 Councillor), William W. Busby (Secretary-Treasurer), and June Ross (Assistant Secretary-Treasurer). “Former Reston man is reported drowned in B.C.,” Winnipeg Free Press, 24 November 1933, page 3. 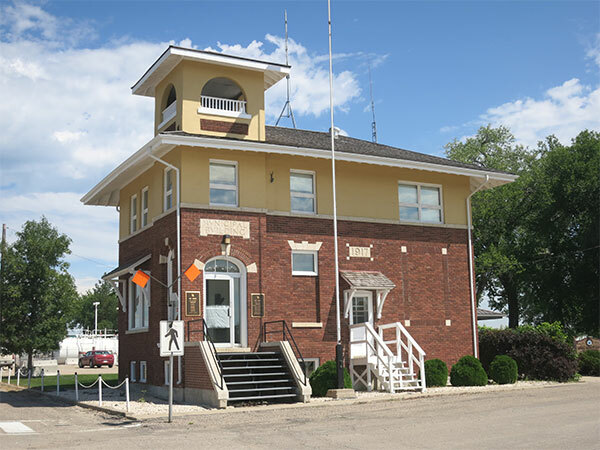 Pipestone Municipal Building, 401-3rd Avenue, Reston, Manitoba Historic Resources Branch. We thank Sharon Simms for providing additional information used here.